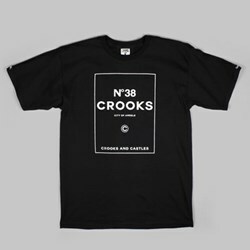 Crooks & Castles is a brand that embodies the styles of a variety of countercultures, combining them into a modern tapestry of comfortable styles for the modern male. 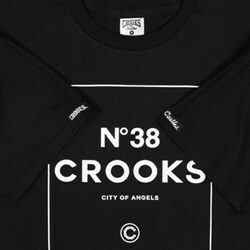 The Los Angeles-based brand has distinctive West Coast appeal with a laid-back vibe that is unmistakable, but there is a definite edge to every design in the Crooks & Castles collection. The designers at Crooks & Castles draw inspiration from men who win castles for themselves by not being afraid to embrace the role of the villain. Made for those who don't care about the haters, Crooks & Castles clothing are a rising tribute to the barons who continue to go after what they want and who aren't afraid to be themselves. As a result, every piece of apparel and every accessory is made to impeccable quality standards, with designs that are sure to suit even the crooks who truly call castles their homes.